Steve Harrick joined IVP as a General Partner in October 2001 and has over 18 years of venture capital experience. He focuses on investing in later-stage technology companies with exceptional growth potential. Specifically, Steve targets Internet, communications and technology-enabled services companies which have the potential to become leaders in their respective markets. He enjoys working closely with committed entrepreneurs to help create businesses that are both respected and revolutionary. Steve was recognized by Forbes Magazine as one of the top 100 venture capitalists in the world by his inclusion in the 2009, 2012 and 2013 Forbes Midas List. He was also recognized by AlwaysOn as one of the top 100 venture capitalists by his inclusion in the AlwaysOn 2009 VC 100 List. 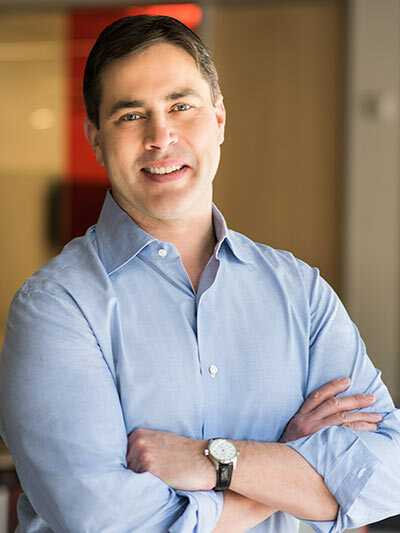 Steve led IVP's investments in Aerohive Networks (HIVE), AlienVault, Anomali, AppDynamics, Aster Data (TDC), Ayasdi, Business.com (DEXO), eHealth (EHTH), Eucalyptus Systems (HPQ), LegalZoom, MarkMonitor (TRI), MySQL (ORCL), Personal Capital, Pure Storage (PSTG), Spiceworks, Sumo Logic, Teros (CTXS), and Tripwire (Thoma Bravo). He was actively involved in IVP's investments in ArcSight (HPQ), Buddy Media (CRM), Danger (MSFT), and Yext. Steve currently serves as a Director or Board Observer for eight IVP portfolio companies. Before joining IVP, Steve worked for the Internet Capital Group (ICG). As Vice President of Acquisitions, his responsibilities included identifying and executing strategic acquisitions, generating partner company liquidity and providing strategic and operational advice to management teams. Steve focused on enterprise applications and infrastructure while at ICG and was involved in the expansion and successful sale of both of Centrimed and EmployeeLife. Prior to ICG, Steve worked for Highland Capital Partners in Boston, Massachusetts. At Highland, his focus on Internet technologies and software led to several successful investments, including Gamesville, Raindance, RoweCom and Webline Communications. Steve's success in venture investing on both the East and West Coast allows him to provide valuable guidance to management teams within IVP's portfolio. Before entering the venture capital industry in 1997, Steve worked in New Business Development for Netscape Communications in Mountain View, California and in Mergers and Acquisitions for Morgan Stanley in New York, New York. Steve earned a B.A. in History from Yale University, where he was a Varsity wrestler, and an M.B.A. from Harvard Business School.